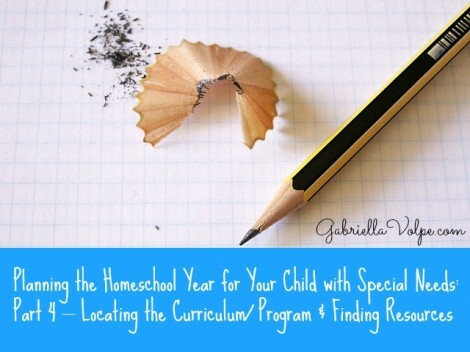 Planning the Homeschool Year for Your Child with Special Needs: Part 4 – Locating the Curriculum/ Program & Finding Resources - GABRIELLA VOLPE, B.Ed.GABRIELLA VOLPE, B.Ed. Let’s recap. You know your family’s philosophy of education (part 1), you’ve pinpointed your child’s learning style and dominant intelligence (part 2), and you’ve nailed down an educational approach that most fits the two (part 3). Now, you’re ready to shop for a curriculum. What if I tell you that you don’t need to. There is a great misconception in the homeschool/ educational community that you must shop for a curriculum. The truth is, the curriculum objectives have already been set out for you by your province or state – and they’re free. You know those core standards that your province/state produces and publishes? That’s called the curriculum or educational program (depending on where you live). Public schools are required to follow them. As a homeschooler, you might choose to use those objectives as goals for your child. You know those fun units and activities you find and place on your wish list for purchase? Those are what we refer to as resources. They are resources that help you meet the curriculum/ educational program requirements. This is a copy of the Quebec Education Program. It’s available online (see resources below) as are any of the curricula/ programs. Note that Quebec also published a program for students with profound intellectual impairments (link also below). It’s so worth a look if you are teaching a child with special needs (even if not in Quebec, even if child’s intellectual impairment is not profound). The provincial/ state curriculum is what you might follow if you wish to have a basic framework in which to gauge the educational choices for your child. Depending on where you live, you may have the liberty to choose how to teach the standards/ competencies/ curriculum objectives. 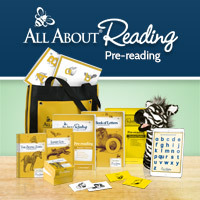 As a result, you are free to use the educational style (part 3) and the resources you wish. If you are unsure of which resources to purchase, you are also free not to purchase/ follow any at all! All you’d need to do is use the standards as a guide, and create your own lessons and activities. From a teacher’s perspective, I’m not a big fan of purchasing full-blown resources that take you from A-Z only because they strip away the freedom I like to have as an educator. I personally enjoy taking bits and pieces from here and there and putting together lessons and units that take on a life of their own. 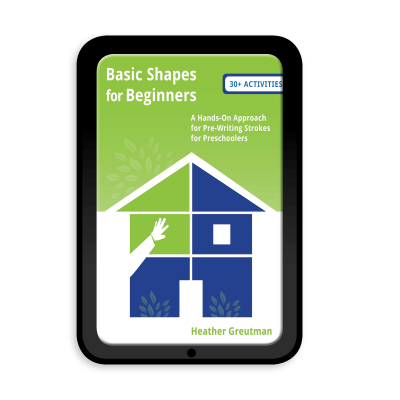 However, if you are new to homeschooling, have many children to plan for, or just need a starting point, I completely understand how having a complete step-by-step resource would be helpful and reassuring. There are many brilliantly-crafted resources for homeschooling today that can be used modified to meet your child’s needs. What I recommend to new homeschoolers is to locate a few resources that come highly recommended within the educational style you selected (part 3). Sometimes, they have free sample chapters on their website that you can download. Look though them and see if these match how you want your days to run (refer to your homeschool philosophy in part 1). Select the one you not only can afford, but also the one that you know you can follow for a block of time. And test it out. It’s ok not to commit to anything for the duration of your child’s schooling. That’s the beauty of homeschooling. You can change from year to year, or even month to month. So as not to be overwhelmed by the entire volume of our provincial educational program, I pulled out the section I’ll need this year – the Preschool section – since my son is in kindergarten. And then, once you’re on the main site, you can search by grade level and then by subject. 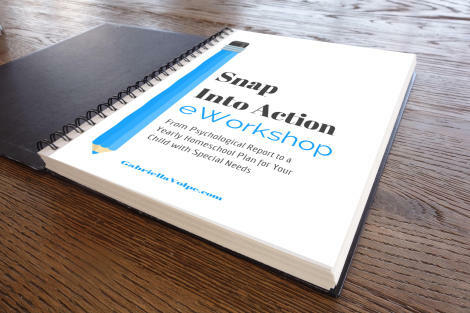 You can print out the pages and charts that are relevant to your child’s level, even if your child cannot meet the criteria at the moment. Right now, use the information as a compass. You can then adapt/ modify the expectations later. 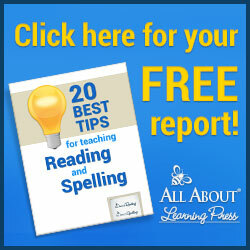 What’s important is having a starting point – and you have it all in one place – for free. These are standards (or competencies, as they are called in Quebec) for the Preschool program. Simply by glancing at these, even though my child has many delays, I can see how I’ll be able to adapt his learning to meet some of these standards/competencies this year. What questions arise for you in terms of curriculum/program and resources? Are there resources you recommend? I’ve listed some examples of both Canadian and US-based curriculum/ programs so you know what to look for within your province or state.